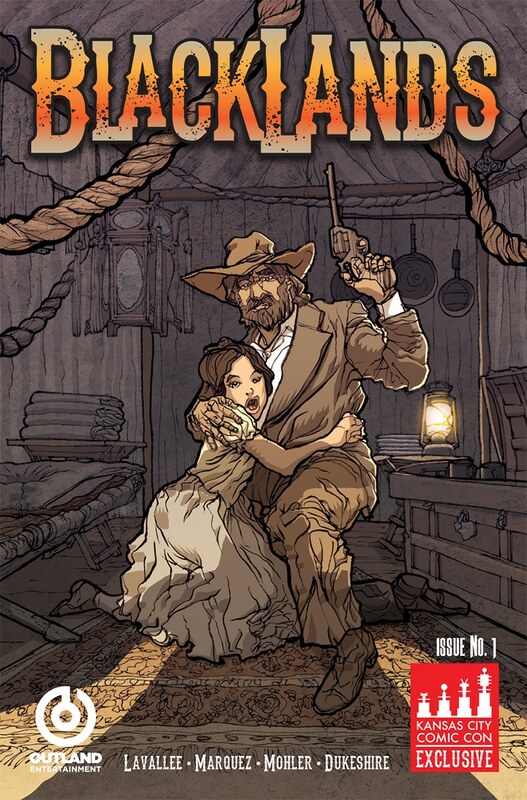 BLACKLANDS is an action/adventure that takes place in the years following the Civil War. Set in the tradition of the classic Sergio Leone westerns, BLACKLANDS has plenty of action, romance, violence, and revenge. Think of it as PALE RIDER meets TREMORS with a splash of TRUE GRIT thrown in for good measure. When a young girl goes missing from the small town of Bliss, Silas, the town elder calls upon Virgil Kane to bring her home. Silas explains that details of Lorelle’s disappearance are limited, and that discretion in the girls safe return are imperative as to not bring shame upon his family. Virgil accepts the assignment unaware that Lorelle is pregnant and ran away to ensure the safety of her unborn child. Danger lurks around every corner as Virgil falls neck-deep into the world-altering hellscape known as BEASTFALL – an environmental cataclysm that brings about a second Dark Age where fresh water and edged weapons are the key to survival.